March may be Women’s History Month, but April’s rich reads—and phenomenal listens—continue the celebration of strong female voices and inspiring trailblazers. These audiobooks bring to life historical fiction at its finest (and read by a full cast! ), a gripping ghost story read by two female narrators, an unflinchingly honest fiction listen that explores young love, and two must-hear memoirs read by the one-of-a-kind authors themselves, infusing even more intimacy and personality into their unforgettable books. 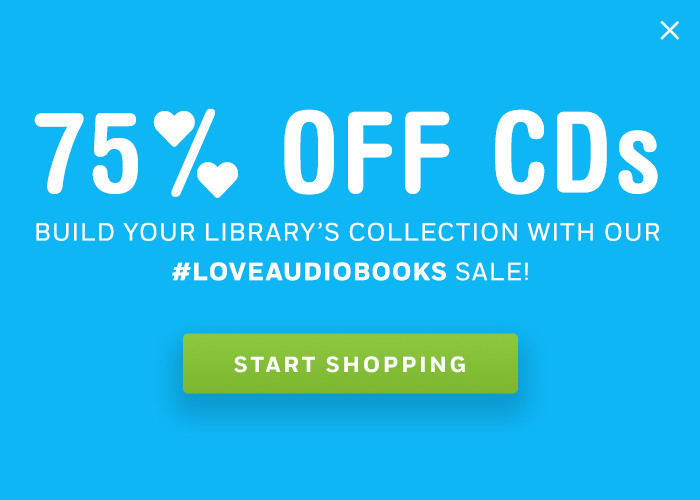 Don’t forget to make the audio editions of these superb LibraryReads picks available to your patrons. Why try the audio? Martha Hall Kelly’s second audiobook also gets the full cast treatment. Booklist declared in a starred review for Lilac Girls, “The book is particularly well suited to audio, and the three protagonists are each stunningly performed.” Expect no less from this stellar cast of four narrators, which includes Kathleen Gati once again, as well as a note recorded by the author. Stay tuned for a special episode of our This is the Author podcast to hear more about Martha Hall Kelly’s thoughts about her fabulous audiobooks. Why try the audio? Ghost stories are meant to be heard—and this two-narrator production of THE INVITED audiobook speaks right to the part of us that loves being told a scary story, whether or not you have a crackling campfire or flashlight handy. Though you may want to keep a light source at arm’s reach for those spine-tingling surprise moments. Why try the audio? Two words: Helen Ellis. This hilarious author is a hoot behind the mic. Even though she didn’t narrate her acclaimed audiobook, American Housewife, she stopped by the studio for some library-love in the form of this special essay and we couldn’t stop smiling. You will love listening to her tell you her hysterical, heartfelt, and so-crazy-they-must-be-true tales in her own one-of-a-kind voice. 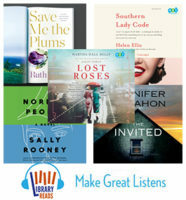 Click here to see last month’s LibraryReads on audio.